Please contact your broker for an updated username and password. Visit our Contact page and register for access! TMST highlighted product to watch for the day/short-term. Quotes and charts with ability to save quotes to your watch list. Product information and educational references. Quick access to account information. Main Street Trading provides all clients the same level of quality research, advanced tools and professional service. 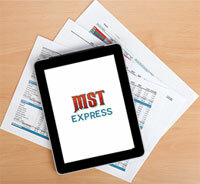 Try MST Express yourself , sign-up for a free 30-day trial. We are sorry you've encountered a technical problem or error. We want to resolve it as quickly as possible. Please submit your report using the form below, making your description as specific as possible. Main Street Trading - Your Main Street to investing! Copyright © 2019 Main Street Trading. All Rights Reserved. This site has been published in the United States for residents of the United States. Nothing here is an offer or solicitation for the purchase and sale of commodity futures and options contracts, or any products or services to persons, other than U.S. residents. Futures and Options trading involves a substantial risk of loss and is not suitable for all investors. Please carefully consider your financial condition prior to making any investments. Market Data provided by Barchart.